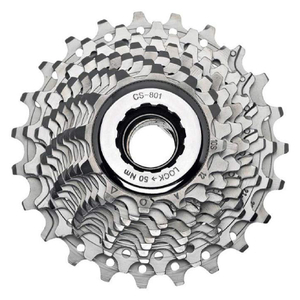 The Campagnolo Veloce Bicycle Chain - 10 Speed allows for silent and fluid pedalling. It boasts a HD-Link System which protects you from any risk of the chain not keeping traction at the point closure. With 114 links, the chain will prevent energy dispersion. - L.M. Product quality as expected. Good quality price ratio. I have found this chain to be reliable and long lasting. After about 1000miles no sign of use. When it comes to replacing will most likely get the same again.